You are welcome to download and use these Hebrew Learning Resources. Print one side, reverse the order and print the second side. Download both files. FRONT and BACK. A Handy HEBREW reference BOOKMARK. 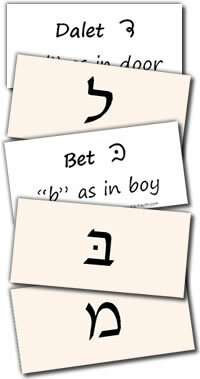 The Hebrew Aleph-Bet in PRINT, Cursive and Rashi script + The Hebrew VOWELS and DIPHTHONGS.